Our lawyers specialize in the full range of personal injury and wrongful death cases, including vehicle accidents, dangerous products, job-related injuries, construction accidents, dangerous roadways, and trucking accidents. We are diverse people from varied backgrounds. We work hard for you, but we also dedicate our lives to our families and our communities. We may be lawyers, but we are also community activists, volunteers for charitable organizations, coaches and parents. While many attorneys hold themselves out as personal injury specialists, Dreyer Babich Buccola Wood Campora have established a distinguished and consistent track record of successful injury victim representation spanning over 25 years. Insurance companies know well of our reputation for winning even the most difficult cases. Send us a message on this site, or call and ask to speak to one of our dynamic and hard-charging lawyers. The firm handles many different types of personal injury cases. Below is a listing of the some of the most common types of cases that the firm handles. We will be happy to discuss your unique situation and see how we can help. AUTO ACCIDENTS A car accident can change your life drastically, hopefully only for now but maybe for the rest of your life. In the aftermath of car accidents, insurance companies, family responsibilities and painful physical injuries place high demands on the injury victim. We are here to help guide you through the process and help you find the best result for your life and your situation. Our experienced staff has handled many different types of auto accident claims for our clients from the straight forward to very complex. During the process we will represent your interests to HMOs, PPOs and insurance companies, so that you can focus on returning to your life and getting better. We work with other parties and their insurance companies to advocate on your behalf for your medical bills, professional interests, future income and continued health needs; all the things that have changed in your life because of someone else's negligence. TRUCK ACCIDENTS Large trucks, also called big rigs or 18-wheelers, are a necessary part of the society in which we live. Unfortunately, in order for their drivers to gain profits for their companies, they drive dangerously long hours and pose threats to those who share the road. Their trucks can be overloaded and maintenance can be postponed. We don't need to tell you that the size of a big rig is often its most deadly trait. The average 18-wheel truck can weigh up to 80,000 lbs, which is 13 times more than the average passenger vehicle. This size can be intimidating to the average driver, but there are laws in place to limit weight, ensure Hours of Service (HOS) is limited per driver and maintenance of the trucks. These are safeguards for the average driver's protection. When these laws are broken or overlooked there are deadly consequences. ROLLOVER ACCIDENTS Rollover accidents can be very complex because they can involve vehicle manufacturing defects, multiple parties and also multiple insurance companies. Rollovers are becoming more and more common the bigger and heavier our vehicles become. The size of most SUVs as well as trucks and vans put them at greater risk for rollover accidents and roof crushing injuries and deaths. According to the Insurance Institute for Highway Safety, in 2008, 58 percent of SUV occupants killed in crashes were in vehicles that rolled over. Many factors can contribute to rollover accidents. Roof crush accidents cause serious injuries to victims when the vehicle that has rolled over fails to protect the passengers from harm. Vehicles in rollover accidents can become deformed and may buckle under the weight of the larger vehicle. Tires are often the cause for rollover accidents and can lead to roof crushing injuries and deaths. Poor contact between the road and the tire can cause the vehicle to be "tripped," or slide sideways and rollover. As it rolls, the roof deforms and can collapse on its passengers. All the damage can be traced back to faulty tire tread. BOATING ACCIDENTS As the second leading cause of transportation deaths annually, recreational boating accidents are most commonly caused by "careless/reckless operation, operator inattention, no proper lookout, operator inexperience and passenger/skier behavior" according to the US Coast Guard. Recreational boating accidents can happen on private boats, personal watercrafts (jet skis), or on ferries. Extensive investigations may occur which can be treacherous, misleading or hard to understand. It is important that the facts be determined and that your interests are represented. MOTORCYCLE ACCIDENTS Victims of motorcycle accidents often spend a long time in recovery. According to The National Highway Traffic Safety Administration, or NHTSA, they are 9 times as likely to be injured as passenger car occupants. This means missing work, missing out on family commitments, damaging relationships on top of the cost of medical care. As a victim of a motorcycle accident you may be suffering from physical pain and possibly a great loss of personal property when your motorcycle is damaged. We understand that you need help fast. TRAIN ACCIDENTS The greater Sacramento Area has many different types of train tracks crisscrossing it. Because motorists share the road with these tracks there is a potential for train accidents. Large cargo and commuter trains are heavy with freight and people. Union Pacific recognizes that their rail cars can weigh up to 286,000 pounds, a whopping 47 times the weight of the average passenger vehicle. Whether you were a passenger in a train or traveling in a passenger vehicle, victims of train accidents can be devastated by injury. LIGHTRAIL ACCIDENTS Lightrail trains can reach dangerous speeds as well, maneuvering turns at up to 55 mph. Whether you were a passenger or traveling in a passenger vehicle, victims of lightrail accidents can be devastated by injury. A lifetime of experience has shaped Mr. Dreyer. It has enabled him to have a unique and practical understanding of the importance of the quality of life and proven invaluable in dealing with wrongful death and catastrophic injury matters. He is the product of a family that grew up traveling throughout the country and Europe due to his father's military career. His parents exposed him to a lifestyle that allowed him to want to make a difference and make them proud of him. They taught him the importance of life and the value of hard work. His father, who had been shaped by a wartime experience of flying over 40 combat missions, being shot down sustaining serious injuries, and being a prisoner of war for nearly two years, instilled in Mr. Dreyer an appreciation for the value of family, life and how delicate a line we all walk. Additionally, the importance of physical health and competing as a member of a team was instilled in Mr. Dreyer and his two older brothers throughout his life by his mother and his father. Having a father who served during World War II and having parents who grew up through the depression caused him to appreciate the tremendous importance of family and community with each new location they moved to during their travels as a military family. When his father retired in the Sacramento region, he finally was able to set down roots in a community and has remained here throughout his career other than to attend University of California Davis where he graduated with honors, and obtaining his law degree at the University of California at Hastings in San Francisco where he understood his calling was going to be in the courtroom representing the interests of others, and in particular, fighting for those who do not have a voice. 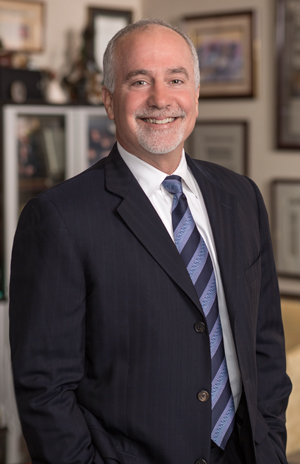 Throughout his distinguished career, Mr. Dreyer has honed his skill in the courtroom and established himself as one of the premier trial attorneys in the State of California. He has tried in excess of 125 civil jury trials for his clients in 14 different counties in California. He has represented hundreds of families and individuals who have suffered the worst possible losses; that is, the loss of a family member or a catastrophic injury that impacted every aspect of that person's quality of life. He has obtained multimillion dollar jury verdicts in wrongful death actions, catastrophic brain and spinal injury cases. These actions have spanned a wide variety of fact patterns from trucking collisions, to motorcycle incidents, to actions involving failures by the State of California or counties that created dangerous conditions, to products liability actions where failures by some of the largest companies in the United States have resulted in death or catastrophic loss. These verdicts have not only made a significant positive difference for the families he has represented, but also established standards of conduct that have taught corporations and individuals how they must act and conduct themselves. Additionally, in two recent trials against Mastercraft Boats and Ford Motor Company, he obtained verdicts in the amounts of $31 million for a brain injured client and $65 million for a family who lost their husband and father, both as a result of defective products that, up until the time of the verdict, these companies had denied there was any problem with their product. Mr. Dreyer empowered juries to make an informed decision and they ruled the Mastercraft boat defective and Ford Motor Company was hit with a Sacramento County record award of punitive damages for its failure to share information it had about defective tires with its customers. Further, as a result of his trial experience and reputation, he has also been sought out by the ownership of the Oakland Raiders of the National Football League as well as the Sacramento Kings of the National Basketball Association in matters ranging from business fraud to products liability. In his capacity as the lead trial lawyer for the Oakland Raiders, he was able to achieve for that team a verdict in the amount of $34 million, the largest fraud verdict in Sacramento County history. He has obtained for his clients record-setting seven and eight-figure verdicts in counties stretching from Fresno to Butte County.